DIVERSIFIED local firm, Anchor Holdings, is set to rebrand into Sinapis Investment Holdings following a change in the shareholding structure of the company. 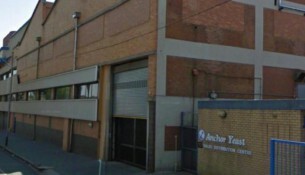 Anchor Holdings relinquished its 60 percent controlling stake in its flagship company Anchor Yeast last year to French-owned Société Industrielle Lesaffre (Lesaffre) in a transaction worth around $17.5 million. Anchor chairman, Ben Samudzimu told Chronicle Business that a public announcement through the media would be made on the company’s new identity. “The process is complete and we’ve since received our Certificate of Name Change from Anchor Holdings to Sinapis Investment Holdings. “We’re now at the administrative stage of the process, which involves change in stationery, notifications to key stakeholders like banks, key suppliers and once that is completed a public announcement will be done through media channels with our new brand and logo,” said Samudzimu. The holding company through its subsidiary, Anchor Agriculture has unveiled plans to invest about $1.5 million at its Geluk Farm on the outskirts of Gweru towards setting up of a dairy project. Anchor intends to import 2,000 dairy cows for the project from France and South Africa. However, Samudzimu said the importation will be determined by genetics rather than the location of dairy cows. “The project at Geluk Farm is much broader and goes beyond just importing heifers. “When it comes to cattle, our approach is centred on getting the best genetics for both dairy and breeding. “As a group we’re not limiting ourselves to any specific location to source the right genetics and as such we’ll consider aspects such adaptability to our local environment,” he said. “In this regard apart from France we’re also considering genetics coming from places like Brazil or the US in areas that have similar climatic conditions like ours. “We’ll breed with the right genetics that will come out of France, Brazil, US or any other location that we find appropriate for us. It’s a long term project. Anchor has already invested about $500,000 on irrigation equipment and in locally available breeds as part of efforts to kick starting the dairy project.